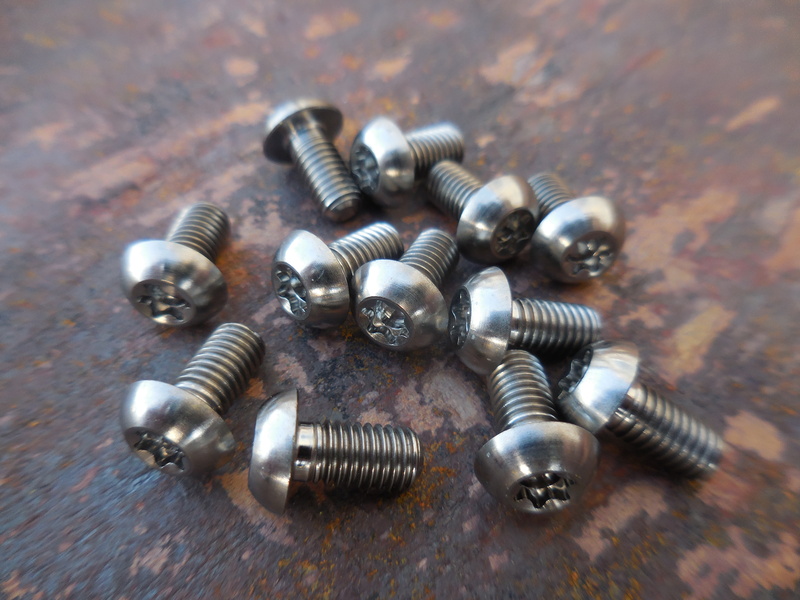 Just in… Newly designed Hostile Titanium disc rotor bolt set kit. New low profile head for extra clearance and a larger head diameter to better distribute load. 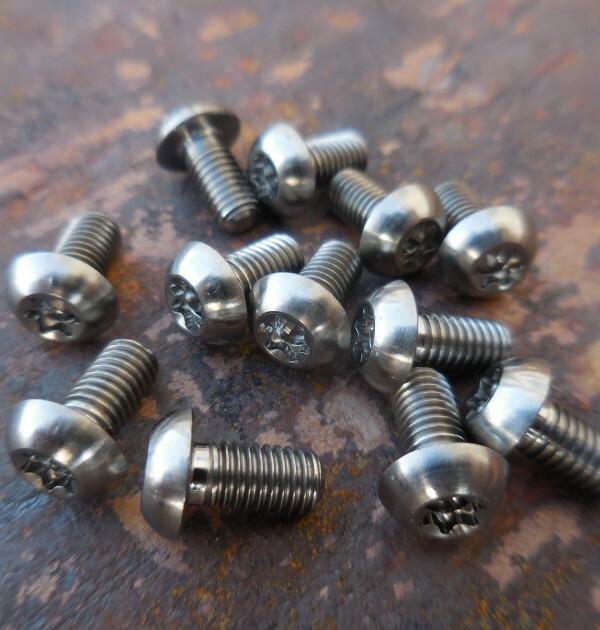 The hex-lobular head provides much better tool connection reducing the risk of rounding. Still only 14 grams, approximately half the weight of steel equivalents.